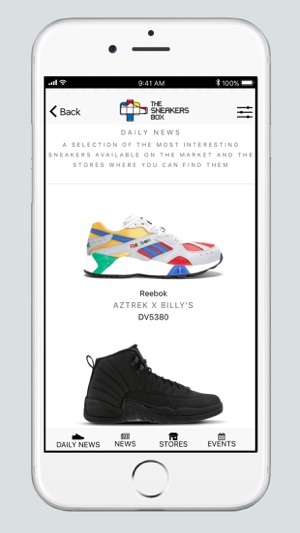 TheSneakersBox is the very first and most complete sneaker stores guide around the globe, daily updated as a media on the web, and annually summarized and printed as “TheSneakersBox - A Guide To Sneaker Culture”. 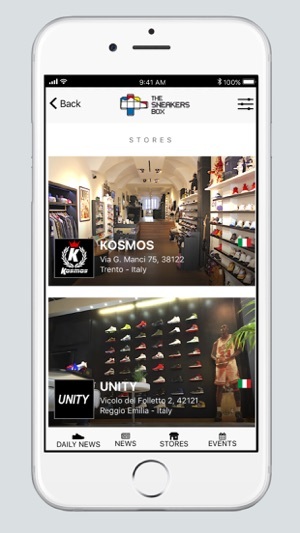 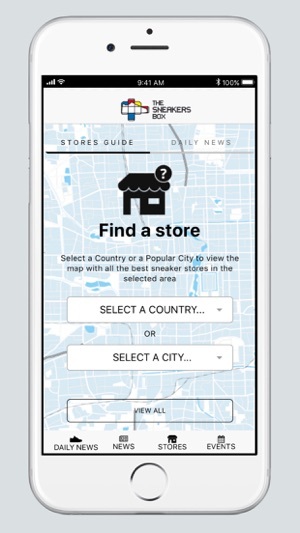 From now on, thanks to the release of TheSneakersBox App, you will have 5 continents with over 40 countries, 300 cities and 1.000 stores, all at your fingertips! 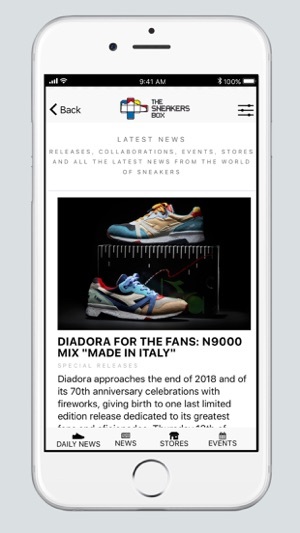 But it’s not over, in the App you will also find sneakers, events, news, raffles and giveaways from all around the world, all special features that will be available only through TheSneakersBox App! 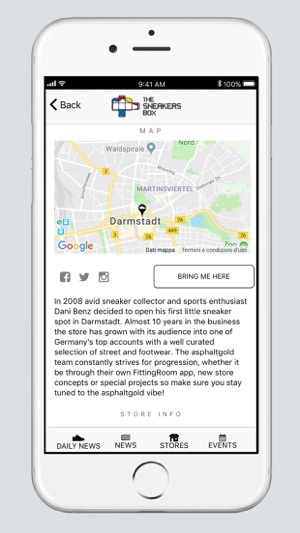 TheSneakersBox, the world at your feet is now also at your fingertips! 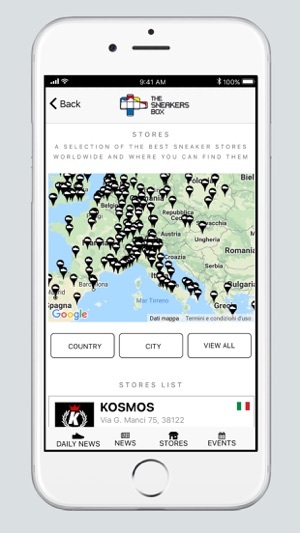 an archive with over 1.000 of the most interesting sneaker stores worldwide with complete info, map and how to reach them. 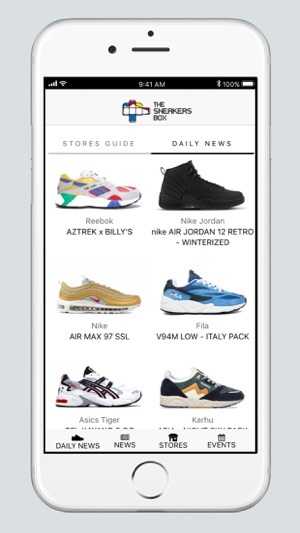 a daily selection of the best sneakers available on the market and where you can get them. 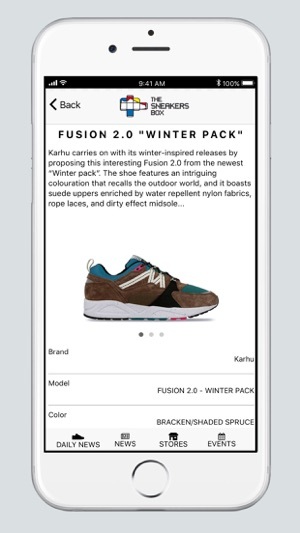 the most interesting news from all around the world about sneakers, releases, events, stores, collectors, artists and much more. 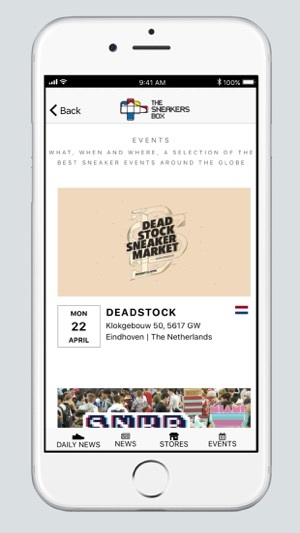 a sneaker events calendar with a selection of the hottest sneaker events around the globe. 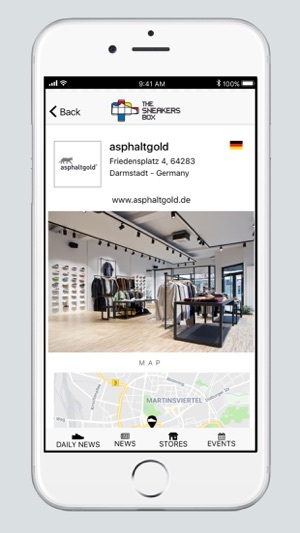 FREE raffles and giveaways from all around the world, a special feature that will is available only through this App!